When I think about the early days of Saturday Night Live (SNL), one great comedienne comes to mind and that’s Gilda Radner. 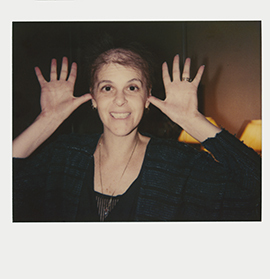 Sadly, Gilda died from ovarian cancer at 42. Thankfully, her legacy lives on in the whimsical characters she created and the many contemporary comedians and comediennes she inspired. 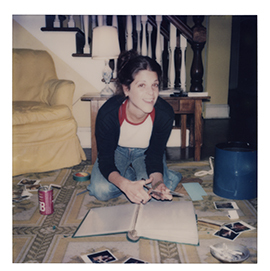 Last week, I had an opportunity to preview the new LOVE, GILDA documentary about the life and career of Gilda Radner. My emotions were all over the board as I watched Gilda reflecting on her comedy through never-before-seen-or-heard footage and journal entries. Gilda Radner was a great comedienne. I laughed when her SNL comic characters came on the screen. 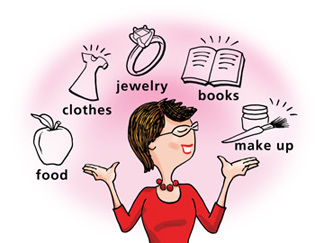 Characters like Roseanne Roseannadanna, Emily Litella and Lisa Loopner. I was only in my teens when she graced the SNL stage yet I remember these characters well. Each one was priceless and made me chuckle today as much as it did back then. I smiled as I listened to interviews with her fellow SNL cast and crew with members like Chevy Chase, Laraine Newman and Paul Shaffer. Also interviewed are Lorne Michaels (SNL creator and producer), Alan Zweibel (SNL writer), Stephen Schwartz (Broadway composer); Andrew Alexander (CEO of Second City) and long-time friend Martin Short. Each spoke about their love for GIlda and her outrageous comedic talent. It was nice to hear her diaries read by modern-day comedians including: Bill Hader, Amy Poehler, Maya Rudolph and Cecily Strong. Beyond her brilliant career, learning about Gilda’s hardships was tough. Despite her affluent upbringing, at times I was sad hearing how her mother treated her as a child, putting her on diet pills during her teens because she didn’t like that Gilda was overweight and liked to eat. Because of her weight, she was bullied in school. I was glad to know that she had a housekeeper Dibby who she was close to, who respected her, and who enjoyed listening to her skits. 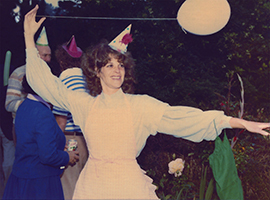 Dibby encouraged her to make fun of herself before others did. So she made comedy about her weight. “Comedy is hitting on the truth before the other person thinks of it,” Gilda says in a videotape. 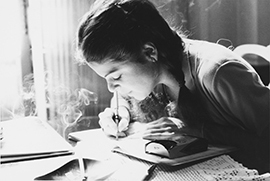 Gilda wrote in journals about her life. And then in her early 40s, after finally reaping the benefits of fame in television, movies and on Broadway, to see ‘one of America’s sweethearts’ succumb to cancer at such a young age, when she was finally happily married to Gene Wilder — that’s when my tears started flowing. 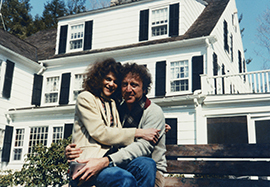 Gilda married comedian and actor Gene Wilder later in life. Gilda was on a mission when she got sick. 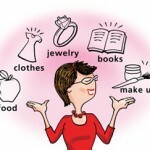 After going to a Wellness Community where everyone was ill and finding support from total strangers, she decided that she wanted to help others as much as they helped her. She wrote her autobiography, It’s Always Something, which was published two weeks after she died. In 1995, her late husband Gene Wilder opened Gilda’s Club, a non-profit organization that supports people and their families living with cancer. Gilda could even smile when suffering through illness. LOVE, GILDA opened in theaters last week. I give it two thumbs up. If you’re as much of a Gilda fan as I am, I guarantee you will love this film. In fact, after seeing LOVE, GILDA, I want to read her autobiography. 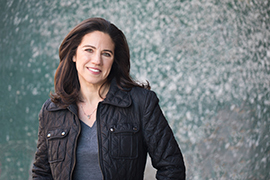 Documentarian Lisa D’Apolito directed LOVE, GILDA. The film was directed by Lisa D’Apolito, who was named one of Variety Magazine’s 10 Documentarians to Watch in 2018. Lisa says, “My hope with LOVE,GILDA is that the audience will go on their own journey with Gilda and that people who love her, discover more about her and people who have never heard of her, are inspired by her story and grow to love her too.” LOVE, GILDA was also selected as the opening night film of the 2018 Tribeca Film Festival. *Note: All pictures were provided courtesy of Magnolia Pictures. Allison, so lucky of you to have seen Gilda’s show on Broadway. She was such an amazing comedienne. 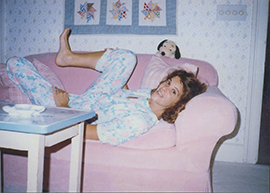 Check on the LOVE, GILDA website to see if the documentary is playing in your area. Since it is a CNN production like the RBG documentary, maybe it will eventually air on CNN. I loved Gilda. She was always my favorite on SNL. My hair looked like Rosanne Rosanna Danna when I got married. Rebecca, too funny about the hair. I think lots of us had big puffy hair in the 70s and early 80s. This movie is on my list. I had always enjoyed Gilda’s work and admired her courage. Antoinette, thanks for your comment. I know you have faced your own struggles with cancer and have handled them with strength too.